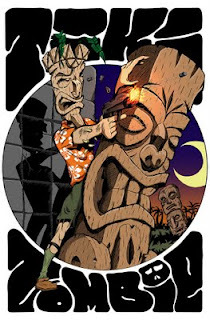 Tiki Zombie Preview Now Available for Download! Earlier today, I received word that Tiki Zombie #1 has been printed and shipped out! If you are attending HeroesCon this weekend, you can get your copy at Small Press booth #SP-13. We will be hard to miss! 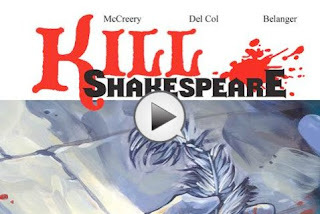 For those who have not yet seen a preview, you can download one for FREE at TheIllustratedSection.com! If you like what you see, we plan on making the first full issue available there as well. Dani has put together an impressive site and we hope you'll support the site and the other talented folks on display. ESO Special Edition! 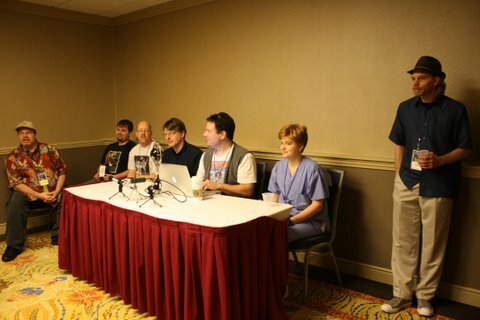 Audio of the "DWO Podcast Alliance Podcasting Panel" recorded live at TimeGate 2011 on Sunday May 29th. 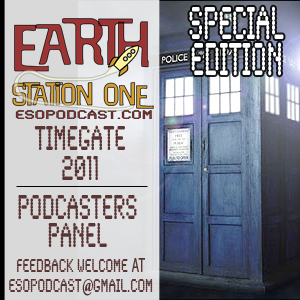 Featuring Chip from the Two-Minute Time Lord Podcast, David & Marty from Hoo on Who Podcast, Denise from The Little Finish Podcast, Matt from the US Whocast, Kirby from 20MB Doctor Who Podcast, and Mike & Mike from Earth Station One Podcast. Thanks to Kirby for the photo! I know this is entirely self-serving, but I just can't help it! I am so excited for Tiki Zombie #1 to make its debut at HeroesCon next weekend! 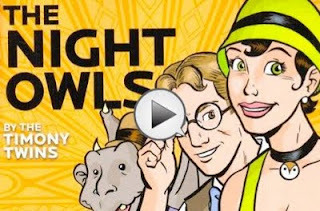 The book really came together well, especially this cover illustrated by Peter Cutler (who also did the interiors) and colored by Kathryn Parker. If you're attending Heroes, please stop by our table! If not, stay tuned for news about how you can get a copy. Join me this weekend at Timegate, a convention here in Atlanta, GA, celebrating Doctor Who, Stargate, and a whole lot more! I'll be there on Saturday & Sunday with the ESO Crew. We'll be featured on some panels and recording live! 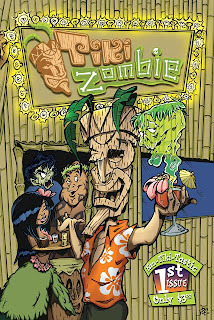 I will have some free copies of the Tiki Zombie preview on hand too! There are plenty of other great guests scheduled to appear as well. Come by and say "Howdy!" Listen to ESO #61 here, or download this podcast from iTunes. 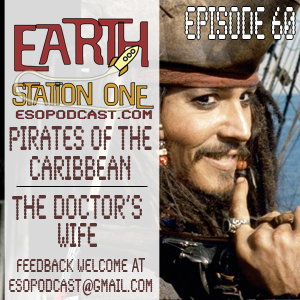 Join us for an episode so big we had to call it ESO Episode 60: There Be Pirates A'plenty, ARRRRRR!!! Listen to ESO #60 here, or download this podcast from iTunes. 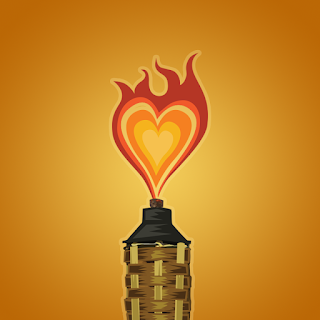 This will be the last FNV for a while. Not because of any "rapture" - far from it! 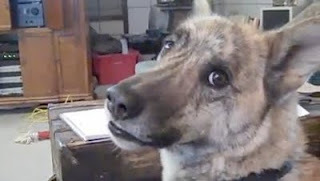 As some of you might have noticed I have missed the last couple of weeks due to my convention schedule and I have many deadlines approaching, so here's one big blast of some cool videos I've seen lately! If they ever remake Mad Max: Beyond Thunderdome, I nominate Beyonce as Aunty Entity! The combined forces of Steven Spielberg, Peter Jackson, Edgar Wright, and Steven Moffat can't fail to bring us an awesome adaptation of the comic Tintin! Can they? 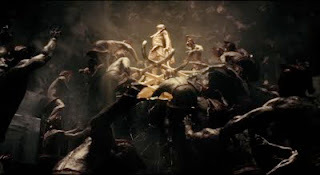 Immortals looks like it has sweet visuals. Maybe the next movie I see in 3D. 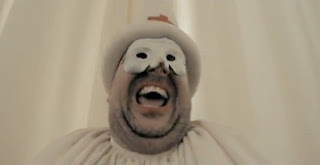 Next week is the debut of Terry Gilliam's new short film, The Wholly Family. "Look lads! A whole bowl of pasta!" 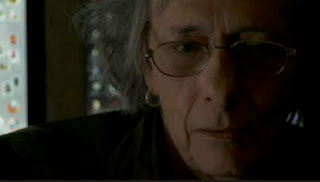 Unfortunately, I have seen the results of this kind of confrontation that did not end as well. Being a superhero ain't all action, glamour, and fame! We all lost a truly great artist this week with the passing of Jeffrey Catherine Jones. I hope this documentary is able to be completed. 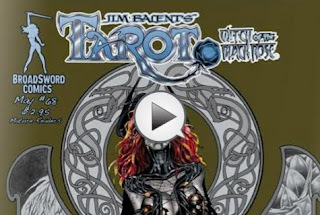 The first volume of this cool web comic has been collected and is in stores now! I'm a little late on this one, but I highly recommend this series from a talented bunch of guys! Always nice to display a new trailer from Holly on our site! She makes fun vids! Since this may well be my last edition of FNV, please check out ComicBookTrailers.com any night of the week! On this week's show, we review Thor, the newest film from Marvel Studios, and then we talk about the newest Doctor Who episode, "Curse of the Black Spot." But wait, that’s not all! We also talk about our experiences on Free Comic Book Day this past Saturday! 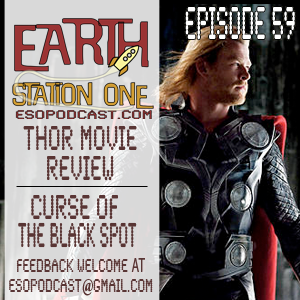 Join us for an episode so big we had to call it ESO Episode 59 – Black Spots Are Cool, But Wait, It’s Hammer Time!!! Listen to ESO #59 here, or download this podcast from iTunes. On this week's show, we give our 2nd annual summer movie predictions, where we will discuss what movies will be hits, what will flop and what might surprise us. Then later we review the newest episode of Doctor Who, "Day of the Moon." Also Mike G. talks about his time at the Boston Comic Con. 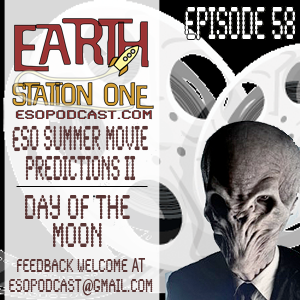 Join us for this week episode we like to call ESO Episode 58 – Space Suits and Movie Predictions, How Fun!! Listen to ESO #58 here, or download this podcast from iTunes. I am still in Boston, but I will be back in the ATL in time for the 10th annual Free Comic Book Day! Artist Peter Cutler and I will be at Galactic Quest in Lawrenceville signing FREE copies of the Tiki Zombie preview special! Actor Chandler Riggs from AMC's The Walking Dead will be appearing as well. Should be a GREAT day! Come by and say, "Howdy!" And not all the cool freebies are in stores. Once again, the folks at Hogan's Alley are giving sending free copies - all you have to do is ask! Send us an e-mail (hoganmag@gmail.com) ON FCBD with your mailing address, and we’ll send you a FREE issue of Hogan’s Alley! No obligations, no strings attached; the only thing it will cost you is several hours as you enjoy the issue. (This offer is valid for all U.S. residents, whether you’re a current subscriber or not.) 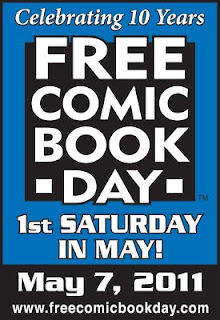 Remember the one condition—we must receive your e-mail request on Free Comic Book Day (May 7), not the day before or the day after. (Before and after that date, any requests for freebies will receive only scorn and derision.) Don’t forget to follow Hogan’s Alley on Twitter (@HoganMag) to get other notifications and cartooning news and observations! A great deal on a great magazine! 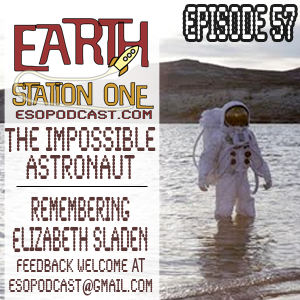 On this week's show, we talk about the first episode of Series Six of Doctor Who, “The Impossible Astronaut”, and then we will be paying homage to Elizabeth Sladen and have a small round table and talk about our favorite Sarah Jane Smith stories. 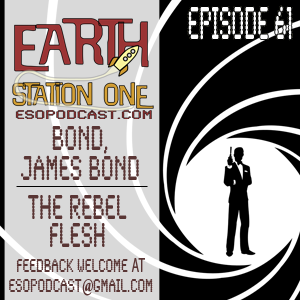 Listen to ESO #57 here, or download this podcast from iTunes.